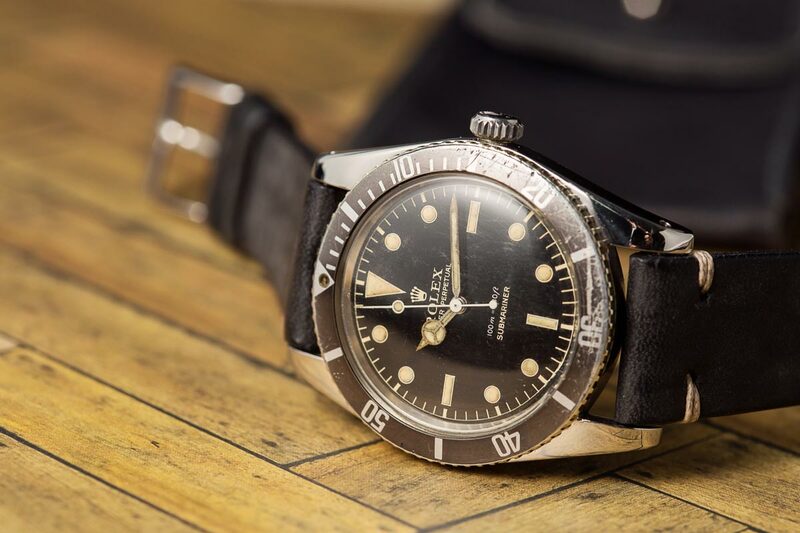 The early years of the world’s most iconic dive watch were fairly turbulent, with several references released and then quickly retired in favor of those with newly updated features. This leaves us with a number of Submariner models produced in little more than the handful, which have caused them to become hugely desirable and sought after by collectors. The Submariner 6536 is one such example. Not to be confused with the ref. 6536/1, it was released in 1955 and made for just one year, and it is estimated that only around 100 pieces ever saw the light of day. Regarded as a transitional model, it followed on from the ref. 6204 and was issued at around the same time as the ref. 6538, the big crown version that shot to fame on the wrist of Sean Connery in Dr. No. 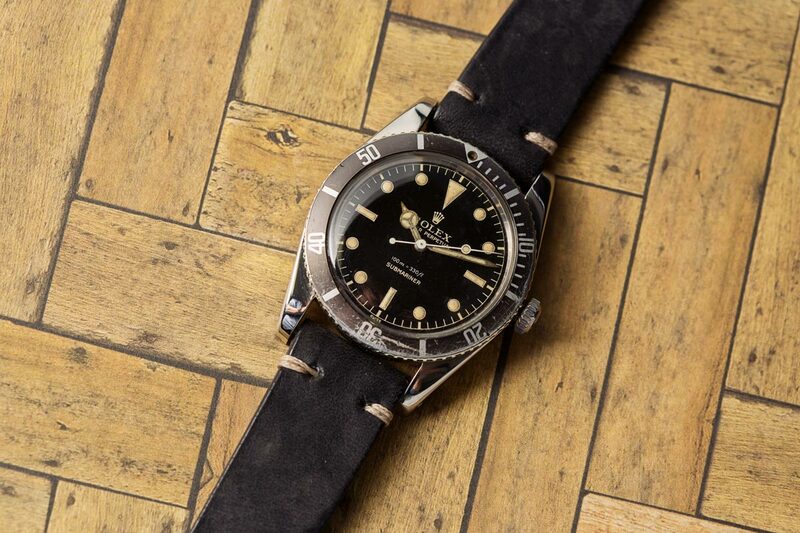 The Submariner 6536 is an extraordinarily rare watch. 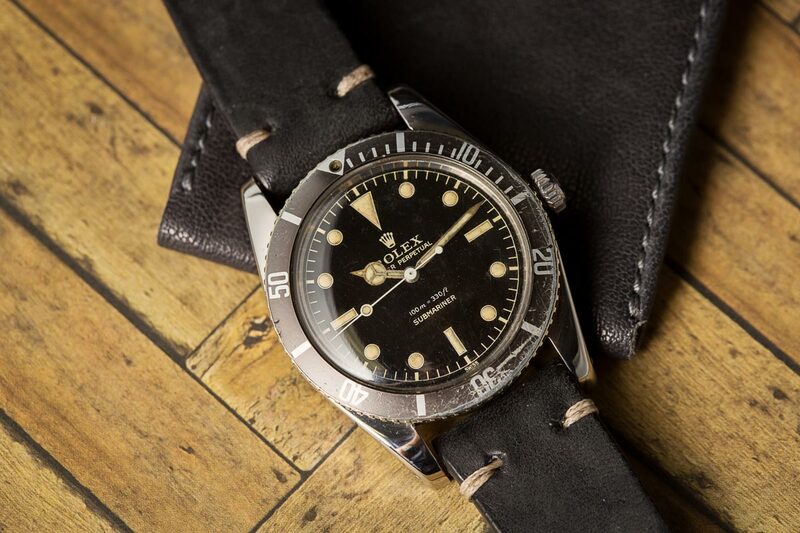 Let’s dive right into this rare vintage Rolex Submariner. Like all Submariners up to the first appearance of the ref. 5512 in 1959, the ref. 6536 has an unprotected crown, in that it has no guards built into the case. The winding crown itself is the 6mm version, as opposed to the 8mm crown on the ‘James Bond’ reference 6538. It is this feature that gives the later watch a 200m depth rating to the 6536’s 100m. Besides the difference in crown size and water resistance, the two models are almost identical. In fact, the case backs of the earliest models of the ref. 6536 are actually stamped ‘6538’, scratched through and then the correct number engraved underneath. The Submariner 6536 helped forge the way to the modern Submariner. 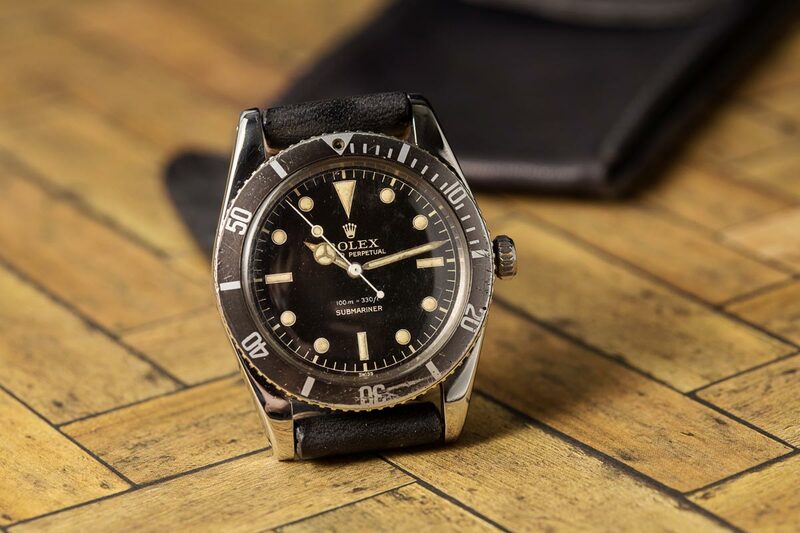 The first wave of both models were released with the same dial which, unusually, did not include the name ‘Submariner’ or the depth rating on it anywhere. A tiny number of 6536 editions, estimated at no more than 10 examples, later came with the maximum depth written in red; and if you come across one, grab it! Fewer still, as in you could count them on one hand, are the Explorer dial versions. Whereas the majority of pieces came with the same mix of round indexes and stick batons with the inverted triangle at 12 that the Sub still features today, there are one or two specimens still out there with the Arabic 3-6-9 markings of the Explorer. You can probably guess how valuable these particular pieces are. The Submariner 6536 has a dial that is highly desirable. Both dial variations, the ultra-rare Explorer and the regular but still ridiculously scarce gilt dial, came with the same Mercedes-style hands that first joined the Submariner range on the ref. 6200 from 1954. The very earliest models retained the longer types, with a minutes hand that overlapped the dial’s outer chapter ring, before being shortened at some point during the production cycle. The ref. 6536 was powered by the Cal. 1030, a 25-jewel automatic caliber first introduced in 1950 that would go on to gain COSC status by the end of the decade. However, that would come after the ref. 6536 had been discontinued, so you won’t find any so-called OCC examples, with the ‘Officially Certified Chronometer’ text on the dial as you will with later references. Formally recognized or not, the Cal. 1030 was still a formidable performer, the first bi-directional automatic winding movement Rolex had made. With a frequency of 18,000vph and boasting a blue steel hairspring with a Breguet overcoil, it was adjusted to five positions by the brand, the same as it would have been to gain the Swiss Chronometer Testing Institute certification. In all, the Cal. 1030 would serve in well over two dozen Rolex models before being phased out by the updated 1500 series. What are your thoughts on the Submariner 6536? Comment below! Its time in the spotlight was certainly brief but, as is the way with vintage Rolex, it is that precise fleeting nature that makes the ref. 6536 such an enticing target for collectors as well as a fascinating chapter in the Submariner story. With each iteration, no matter how short-lived, Rolex took another step in perfecting what, for many people, is their signature creation. The Sub is undoubtedly the most influential dive watch ever made, and tracing its lineage back through these ultra-rare examples is a captivating journey.